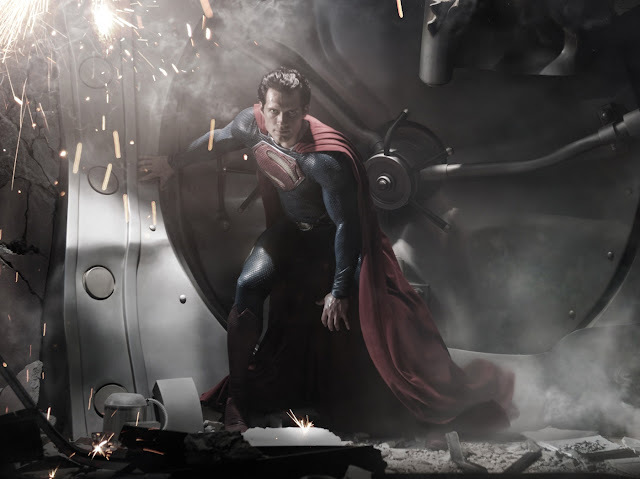 Two Tickets For...: 5 Reasons Why... We're Excited For 2013's Movie Slate! 5 Reasons Why... We're Excited For 2013's Movie Slate! Andrew: Hello readers! It's almost the end of January, so it can be considered that we're posting this a bit late, but when you consider the general crappiness of January releases we think it's okay. Either way, we're here with the Five Reasons Why We're Excited for 2013's Year in Film! Just so you don't think we're misleading you, we're not listing the top five movies we're excited for. That's not the purpose of this exercise. You'll see what we mean. So, in descending order, here are the reasons we're excited about going to the movie theatre this year. A: If you've read my personal Top Ten Favorite Movies list then it's no secret that Anchorman: The Legend of Ron Burgandy is one of my all-time favorite films, and it's a film that Sarah and I originally bonded over when our relationship was truly starting, so it holds a special place in my heart. But it bummed me out for many years that they weren't going to make a sequel to such a modern classic, so when news broke last year that Will Ferrell, Christina Applegate and the rest of the Channel 4 team were finally reuniting for more shenanigans, I can't even tell you how excited I got. We quote the original far too often even just in our own apartment, don't we Sarah? It has been WAY too long since we've seen a new movie with THIS guy in it. Sarah: Oh yes, we are quite the quoting couple and this one is a favorite! Since the first one original came out, we have seen Steve Carrell's career take off and Christina Applegate go on to fight cancer AND star in one of our favorite current television shows. 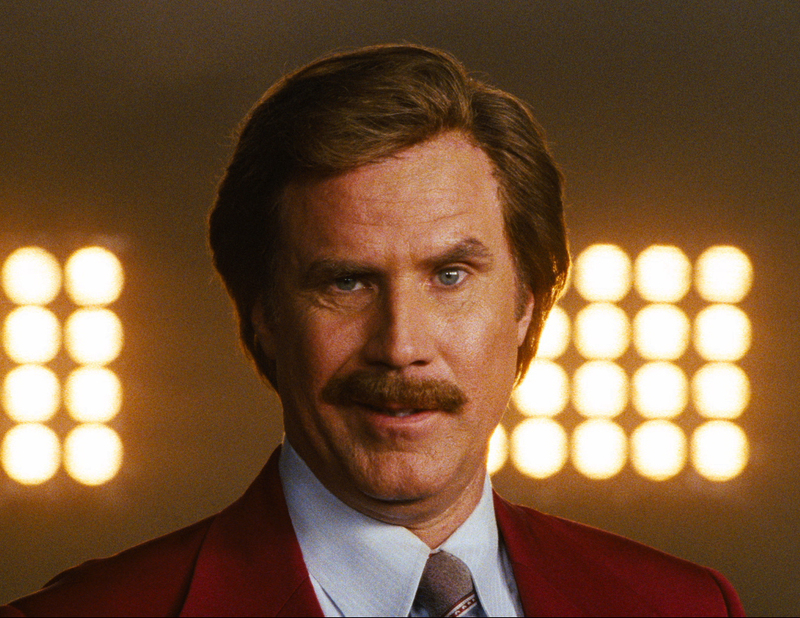 I am so looking forward to Anchorman: The Legend Continues! My hopes are possibly WAY too high for this one but the humor from the first one leaves me with lots of hope. With the Channel 4 team back, I wonder what all sorts of shenanigans they will get in to. Where are they now? Who is taking whom to Pleasure Town and for crying out loud, how is Baxter?! It will be excruciating to wait for all the excitement! I'm so excited to add some new lines to our repertoire of quotes and annoy all of our friends with our perfect delivery. A: Ok, so this entry encompasses a lot of films. We don't know what it is but there's an inordinate amount of movies either about the apocalypse or are set post-apocalypse. Let's list the off real quick. There's Oblivion, directed by the guy who did Tron: Legacy and starring Tom Cruise and Morgan Freeman; After Earth, the latest film from M. Night Shyamalan starring Jaden Smith and his dad; Pacific Rim, the latest from Guillermo del Toro, about giant monsters destroying the earth and the giant robots humans have created to fight them; World War Z, a zombie movie starring Brad Pitt based on the novel of the same name; Elysium, a new film from District 9 director Neill Blomkamp and starring Matt Damon; and lastly we have two comedies about the end of the world - The World's End, the third collaboration between director Edgar Wright, Simon Pegg and Nick Frost, and This Is The End, an ensemble comedy from Seth Rogen and Evan Goldberg (Superbad) that includes tons of Rogen's buddies like James Franco and Jay Baruchel. That's a lot of movies and big names, Sarah. Which one (or ones) are you most looking forward to? 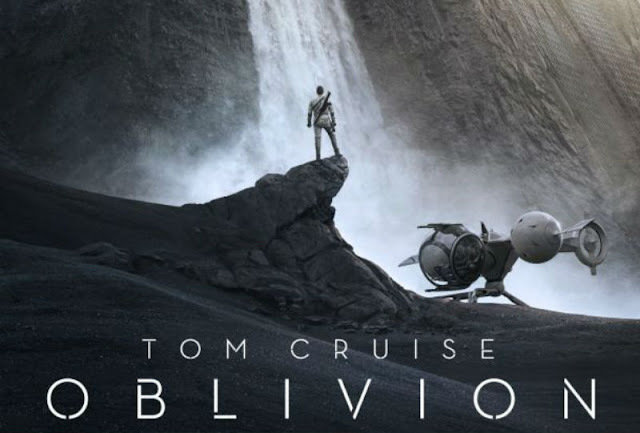 S: I'm definitely looking forward to Oblivion. Tom Cruise has been on a roll lately and it's been pretty impressive. Throw in Morgan Freeman and you're almost guaranteed a hit! I'm interested to see where this one goes. I'm curious to see how the world became uninhabitable to everyone but a select few and who exactly they are trying to fight off. Dude's nuttier than a squirrel's droppings, but he's been making some of our favorite movies the past few years. I'm also excited for After Earth. Although I'm not a huge fan of the Smith family and their movies that they seem to be doing together, I do think that this one looks pretty cool. This is definitely one where the creature fantasy might outweigh the acting. M. Night Shyamalan isn't known for the best computer generated movies but hopefully this one will still be entertaining at the theatres. Lastly, I am most excited for is This Is The End. Get all of Hollywood's hot comedy stars and a few randos in the mix? How could this NOT be awesome?! It's sure to be pretty crazy and so inappropriate that I can foresee this one on our shelves one day. A: I'm with you there on Oblivion, and I completely agree that This Is The End is destined to be on our DVD shelves someday. But I'm actually more looking forward to Pacific Rim because the trailer is just flat out awesome and Guillermo del Toro is one of the most visually astounding directors out there. I don't think enough people are excited about Elysium, and it may have to do with the fact that there's not much known about it at this time, but District 9 was great so just off that alone I'm excited to see Blomkamp's sophomore effort. A: In all honesty this one probably deserves to be a little higher, but there are just a ton of movies that we're looking forward to this year. However, it's also only the second movie we've given its own spot on this list. Zack Snyder's Man of Steel simply looks amazing. If you haven't seen the trailer, take a second, check out our post about it from a few weeks ago, watch it, and come back. We'll wait for you..........................you watch it? Okay good! Now you know what we're talking about. Sarah, every time I watch this trailer, it gives me chills. I'm sure the dramatic music has a lot to do with it, but I'm loving the look of the film and more importantly I'm loving the tone. The line where a young Clark asks his dad if he should have let a school bus full of kids die so as not to blow his secret and Kevin Costner's Pa Kent replies, ".....maybe," is fantastic. You can just feel Christopher Nolan's presence in the film even though he's only a producer. I'm very excited for this movie. What he's actually doing there is trying to hold back our excitement for his new movie. S: Seriously, if you could understand how excited I am that Chris Nolan is part of this movie you would be pretty excited, too! I didn't really like Superman Returns. It just didn't have the excitement that I have come to know and love when it comes to superhero movies. But the cast on this one is going to be awesome. At first I was a little concerned that their choice of Henry Cavill for Clark Kent/Superman, but after seeing that trailer I think it is safe to say that they went with the right man. I'll be interested to see how the story is portrayed. I've always been a little confused how glasses hid Superman from the rest of the world so hopefully this will shed some light on the subject. Also the prospect of a Justice League movie starring Batman and this new Superman is so tantalizing, I just hope this next installment of the DC comic movies proves to be awesome. A: Speaking of superhero movies, I think it's fair that we lump together the two Marvel movies slated to be released this year into one entry since they're all categorized under the "Phase Two" umbrella by Marvel. Following the massive success of The Avengers this past year, along with the very solid "Phase One" films of Iron Man, The Incredible Hulk, Iron Man 2, Thor and Captain America: The First Avenger, I'm very interested to see how this second phase handles itself post-Avengers. Things certainly look promising with Iron Man 3 coming out first this May. This is another trailer that gives me chills and I'm very excited that Shane Black, the guy who wrote such great movies as Lethal Weapon, The Last Boy Scout, Last Action Hero and the phenomenal Kiss Kiss Bang Bang (which he also directed), is directing this installment. S: And then we have Thor: The Dark World, with the hunky Chris Hemsworth coming back along with Natalie Portman, plus it's directed by Alan Taylor who has directed some of the best episodes of Game of Thrones? Oh my gosh it's going to be so good! These are some of my favorite movies so I have super high hopes for the new ones. With Iron Man 3 out first the trailer looks so awesome and scares me a little! What is going to happen to Tony? Is Pepper alright? Will there be other Avengers cameos? So many questions and I have to wait until May to get the answers. Since this year is post-Avengers it will be interesting to see how they connect to the movie where all the heroes meet. Now that they all know about each other, I wonder how it will all fit together. It's going to be a great year for superheroes! A: We'll preface this by reminding everyone how much we disliked The Hobbit: An Unexpected Journey. We have to say that, because we are actually, truly looking forward to The Hobbit: The Desolation of Smaug...for essentially one reason and one reason only, and that's Benedict Cumberbatch. S: Yes, Cumberbatch as the dragon, Smaug, is the only reason I am looking forward to the second installment of The Hobbit. Smaug is such an interesting character that really doesn't get a ton of action in the actual book. So the one thing that I am hoping for is that Smaug will get the Peter Jackson touch and get over-exposure. After Sherlock, Andrew and I really fell in love with Cumberbatch. He's got this wicked way of capturing the audience and keeping them. I bet he would be awesome on stage. Anyway, The Hobbit: The Desolation of Smaug is going to be pretty good with him in the cast. But I think that his real starring role is going to be as the mysterious bad guy in Star Trek Into Darkness. After seeing the first 9 minutes of the movie before The Hobbit in IMAX, I am even more convinced that he is going to steal the show. we don't care. We just can't wait to see him up against Starfleet's finest. A: Honestly, Star Trek Into Darkness alone would hold the top spot for us, but Benedict Cumberbatch is a very large reason for that. 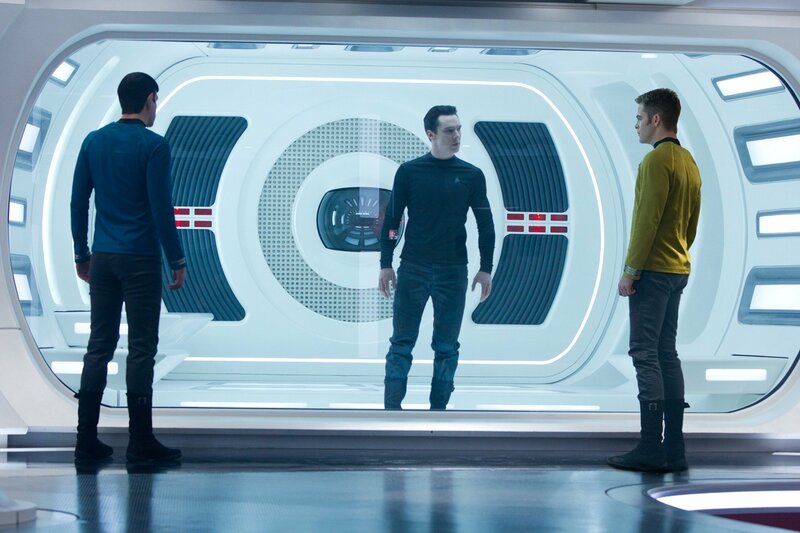 As you said, my dear, Cumberbatch just has this mysterious presence and a voice meant for the gods...his casting as the yet-unknown villain in J.J. Abram's second venture into the Star Trek universe was a stroke of genius. I don't care if he's Khan or Gary Mitchell, he could be Yosemite Sam for all I care, and we'd be the first people in line to see this movie. He's perfect as Sherlock Holmes in the BBC's Sherlock and the chance to see him as a villain is very exciting to me. Also, the nine minute preview they showed before The Hobbit in IMAX just made me smile, from the way it looks, to the return of a perfect cast, and more importantly to me the music by Michael Giacchino...I cannot WAIT for May 17th to get here. Honestly, it was pretty tough to even narrow this list down to these five choices. We didn't even mention movies like The Wolf of Wall Street, The Great Gatsby, The Hangover 3, Evil Dead or The Hunger Games: Catching Fire. Just goes to show how the outlook for 2013's cinema slate looks, and we look forward to seeing all of the above mentioned films and bringing you our reviews of them! As always, thank you for reading, and let us know what movies you're most looking forward to seeing this year down in the comments section!